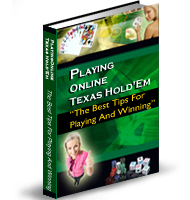 Real Deal Poker will not need a Random Number Generator to calculate the cards each player is dealt. Instead they are using machines that shuffle real cards and allow the player at the Button to choose a cut. Real Deal Poker, the Name says it. They have a Video on their site showing You a shuffle machine at work. The downside is that some games tend to be a little slow, because You wait for the dealer to choose the Cut, but there are also tables on which this feature is disabled to speed up the game. Right now there is very little traffic on the site, but the Real Deal No Deposit Poker Bonus is bringing in a lot of new players every day. You can start playing without investing own money by following some simple steps. The No Deposit Bonus is paid for by Bankrollmob, so You have to get a free account there if You don’t have one already. Then download the Software from within your account. After You have set up a real money account on Real Deal Poker and Bankrollmob have verified your sign-up You get 10 Euro Free Poker Money. Every time You accumulate 100 Frequent Player Points another 5 Euro will be released into your account until You have received a total No Deposit Bonus of 60 Euro after 1000 Points. You need to accumulate 350 FPPs to Cash-out. This Free Poker Money Offer is not valid for Players from all countries, but the list of eligible countries is really long. US Residents are NOT eligible unfortunately. Canada, Australia and most western European Countries are eligible, Russia is too. Please check the list of countries on the bankrollmob account prior to signing up for a Real Deal No Deposit Poker Bonus. Once You got Your Bonus have fun at the tables and manage to get enough FPPs to get the total Real Deal No Deposit Poker Bonus of 60 Euro. Stay at the low limit tables and tournaments to be save when You get some bad beats and You can clear the complete without depositing.